Mei Ling Market & Food Centre, a two-story establishment located along Mei Ling Street in Queenstown is home to both a wet market and a food centre. As you walk into the building, you will see an escalator that brings you up to the food centre. 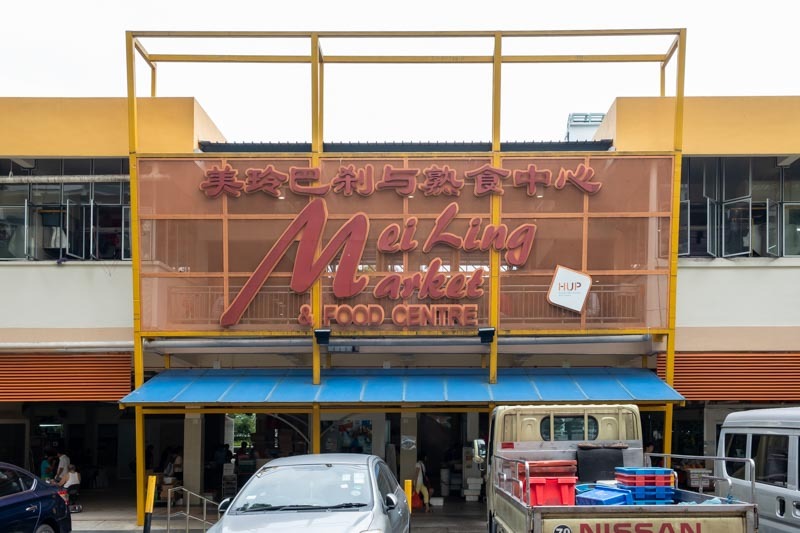 Please hold on tight to the handrails, as we take a look at 8 hawker stalls to try at Mei Ling Market & Food Centre. He Li Cooked Food 合力熟食 used to be one of the few breakfast spots for me when I was still staying around the area. And I am happy to find out that the standard of the food hasn’t dropped over the years. I ordered the same three ingredients I used to order as a kid (noodles, vegetables and an egg) for $2.30. I just love how nostalgic everything tasted. One thing I like about this stall is that their food isn’t that oily; it has just the right amount to prevent the noodles from clumping together. Shi Hui Yuan Hor Fun Speciality 实惠园驰名香滑河粉 serves hor fun at affordable prices, and guess what? It’s awarded the Michelin Bib Gourmand. I ordered the Mushroom With Chicken And Duck ($4) and the first thing that I noticed was the smell of the Chinese wine in the dish. With every sip of the thick gravy, I could taste the mild sweetness of the Chinese wine. The noodles were smooth and chewy, and the best part was that it soaked up the gravy, infusing every strand of noodle with gravy. Both the chicken and duck were tender too, but I wished that they were more generous with the meat. Hai Tang Lor Mee 海棠卤面 stirs up a storm with its thick and delectable gravy. Their Lor Mee ($3) came with a wide range of ingredients such as ngo hiang, fishcakes, and lor bak. The thick and starchy gravy had the right amount of saltiness. With every mouthful I took, I got to savour the delicious gravy as it clung onto the noodles and ingredients. You can spice it up a little by adding some chilli too! This is another of my childhood favourites, and I practically grew up having the noodles from Xin Lu Fishball Noodle 新路潮州鱼圆粿條面汤 every Saturday as my parents would head down to tabao for me. There is something about their noodles and fishballs that is super addictive. A bowl of Fishball Noodle ($3) comes with five fishballs; what a steal! Each bowl had the right concoction of sauce, chilli and vinegar, which probably explains my constant cravings for it. The noodles were springy and came in a generous portion. One noticeable characteristic of their fishballs is the size; their handmade fishballs are huge and very springy! No Signboard Braised Duck 無招牌卤鸭•饭•面•粥 has a signboard after all. This stall has been featured on numerous TV programmes, so I expected their food to be pretty good, especially with the long queues. The Duck Rice ($3) had a substantial amount of duck meat, which was slightly firm, with a mild gamey taste. The dish also came with fluffy rice that was fragrant, and sparingly drizzled with the gravy. Because the flavour was pleasantly light, you can even eat this for breakfast! If you want to have a taste of handmade carrot cake from Mei Ling Street Handmade Carrot Cake 美玲路手工菜头糕, you need to come early. They run out of their carrot cakes by around 10am, even though they close at 10.45am. Their Carrot Cake ($3) is one of the best I’ve tasted, with chunky and savoury pieces. In line with the ‘Eat Healthy’ campaign, they use less oil when preparing their food as well. Though you may have to wait for a bit as they prepare your food, trust me, it is worth the wait if you reach Mei Ling Market & Food Centre early enough. You can never go wrong with chicken rice. Sin Kee Famous Chicken Rice & Fish Porridge 新记驰名鸡饭•鱼生粥 takes up two stalls, with the stall on the left serving chicken rice, while the one on the right serves other food items, such as porridge and vegetables. 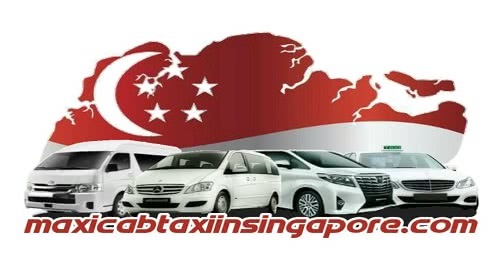 Their Chicken Rice ($3) never fail to deliver. The chicken was tender and juicy, with fragrant juice oozing out of the chicken when I bit into it. The fluffy rice was teeming with the flavours of chicken stock and garlic. Looking for quality Chicken Rice? Then you’ll want to head over to this popular stall in Mei Ling Market & Food Centre. Fruit stalls are aplenty, however, it’s difficult to find one that serves fruit juices that aren’t diluted and bland. Xing Wang Fruit Juice 兴旺鲜果汁 is where I normally go to quench my thirst in Mei Ling Market & Food Centre, after exercising at the nearby Queenstown Stadium. To quench our thirst, we had the Watermelon ($2), Orange Carrot ($2.50), and ABC (Apple + Beetroot + Carrot) ($2.50). The good thing about their juices is that they pour the pulp as well into the cup. No matter what fruit juice I purchase, it is always thick and not watered down. Singapore Vlog: Food Tour & Marina Bay Sands Garden, Afternoon Tea, Light Show!